The above is true when it comes to your personal possessions, which is why you purchase either homeowner’s or renter’s insurance for your house or apartment, car insurance for your vehicles and why you take out policies to safeguard any other prized items in the event of an unforeseen incident. If you do it for your personal items, why wouldn’t you do it for your business? It’s estimated that 25 percent of all small businesses do not reopen their doors following a major disaster, whether that disaster be one of nature, human error or another event. A big reason why a business doesn’t reopen is because the disaster in question resulted in a loss of critical company information, to the point where recovery isn’t possible. Ask yourself: Is your business among the 75 percent that could endure a disaster? You’ve likely heard “the cloud” being mentioned. And no, in this context, it has nothing to do with the weather. The cloud consists of a network of servers where a business’ data can be backed up to in a secure location. The cloud is essentially data insurance, as it makes data recovery relatively simple in the event of a disaster. If you think the cloud is weather-related, it might be time to familiarise yourself with it. Services like Dropbox are good examples. While natural disasters and human error can lead to outages, they’re also known to be caused by smaller glitches that aren’t as simple to fix. This can invlude failure of critical IT devices like SAN’s, backups that are not regularly tested and restored, and human actions such as deletion of key data by unhappy employees. Any of these causes can potentially lead to big problems. It goes without saying that the greater the likelihood of severe weather, the greater the chances that outages – or even further damage – resulting from natural disaster will occur. The United States learned this lesson the hard way when 81,000 businesses were impacted by Hurricane Katrina in 2005, and the Brisbane floods in 2013. Australian businesses should take note from those two instances abroad when analysing their disaster preparedness plan. Backup tapes have their place in a business’ IT infrastructure, but they’re not nearly as efficient or as convenient as the cloud. For instance, if your business was to be flooded by water, and the backup tapes were stored in a back room, the water would damage this backup data as well. You likely don’t feel the same way about your home or your car, which is why you insure such possessions. Why not take your business as seriously as your personal possessions? Especially if your business is paying the bills so you can afford a nice home and a nice car? 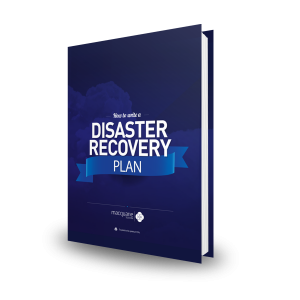 Don’t underestimate the importance of a disaster recovery plan. As mentioned, it’s estimated that as many as 25 percent of all small businesses don’t reopen following a disaster. Furthermore, only about half of all small businesses have any type of business continuity plan in place. How confident are you that you’re among the businesses that could survive an event? Small businesses can make use of Software as a Service (SaaS) to enable their key applications, meaning the data is automatically stored ‘in the cloud’ by the software vendor, who will have structured backup routines in place. Start up budgets are small – so it can be easy to put off investing in some sort of business disaster recovery plan. Instead, we’d recommend including some sort of disaster recovery plan in your business start up funds. The cheapest option is using Dropbox services or SaaS. It’s always wise for a business to have some sort of backup plan. And while most of the larger businesses do, most small businesses do not. Even for those small companies that do, it’s typically very limited and doesn’t fully cover what it really should. Think about just normal everyday items and how much they’ve changed over the past 10 years. Take your mobile phone for example, which has morphed from a standard item for making calls to a device you can now use to browse the Internet, check e-mail and send and receive text messages, in addition to placing calls. 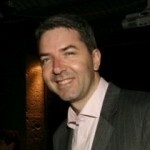 Disaster recovery strategies and services should change too. Has yours? Many businesses will tell you that their disaster recovery plan is storing data on on-site backup servers – clearly this is not a serious redundancy plan. Experts recommend that any servers storing backup data be located at least 80 kilometers away from the main business. This is enough distance between the two venues where chances of a disaster occurring in both locations is unlikely. Like we noted in the opening, you purchase insurance to safeguard your home, car or other prized possessions – why wouldn’t you do the same for your business? To learn more about the importance of investing in a disaster recovery plan, contact Macquarie Telecom today on 1800 004 943 or by submitting an online enquiry.